This is part of a series of summaries for the PS Vita game I Doll U. For a brief introduction to the game, go here. Heavy spoilers for the game ahoy! Today’s covers Sakigake Itsuki. Start with the main route to best understand the story. Warning: long post ahead! Line breaks correspond with the end of a track or segment (chapter). At 6:30 AM, Aika hears yelling. It’s Seiya yelling at Itsuki. Itsuki is delighted to see Aika. Itsuki reports Seiya was throwing a tantrum in wanting to practice, but Itsuki wouldn’t mind her showing off. But he doesn’t want her to practice in case something happens (overexerts herself). Seiya doesn’t get Itsuki’s doting of Aika, but Seiya and Aika insist, so Itsuki lets her join in. In her room, Aika notes 10 days have gone by since the cafe was opened. She thinks about how she’ll be separated from Re;Rise once Manaka returns. Re;Rise will have a song event at the cafe. Aika goes to tell Itsuki about the event. At the register, he sees her leaving and is surprised to learn she was looking for him. He’s overjoyed even though he’s supposed to be watching customers’ lost items. Aika says his words can be creepy but he’s a gentleman. He’s touched by her insult. Aika tells him about the event. Aika thinks everyone will follow Itsuki’s lead, so she thanks him in advance (for cooperating). He blushes and stammers, but he says it’s nothing. He quickly runs off to get some cold water but bumps into the register on the way. Aika notices he’s not himself. Both go to pick up the money but accidentally kiss. “Oh. You done already? Too bad.” Aika is stunned, but he says it was a joke. He tells her to forget about the kiss. It was his fault for getting close. He won’t consider it anything special. Aika is surprised by his calm reaction. Itsuki replies he’s an adult and is more worried about scarring her emotionally. He doesn’t care about being hated by her, but hurting her is much more painful. Aika thanks him and asks if he really wouldn’t mind being hated by her. He wouldn’t because all he wants is her happiness. But he’d die if he couldn’t sing. Aika is glad he has something. Itsuki says he might dedicate even his idol self and songs to her. She doesn’t think that’s a good idea. He says it depends on her. Aika goes to talk to the others. Aika, Itsuki, and Tsubasa are going to perform together at the cafe, and the other three are going to do a song as well. The unit practices. Aika works hard not just for her brother but because this is Re;Rise’s big event. Itsuki and Tsubasa start their sniping, but they both agree they won’t let their fight get in the way of the performance. The group greets their audience. Finally, it’s Aika’s group’s turn. The other members are impressed with Aika’s performance, and the fans are pleased. The press Re;Rise is receiving is positive. Aika thinks her brother will surely come back now. Later, she goes to meet her friend Nami and talk about what’s going on. Later that day, she decides to see Itsuki. She finds Itsuki in the kitchen. He chuckles and remarks on what a “beautiful knife” he has and how it’s okay if he cuts… Aika cries out in shock, and he is surprised by her. Is she hungry after seeing her female friend? She’s about to say yes when she asks how did he know her friend was a girl. There’s nothing about my dame he doesn’t know! Aika asks if he planted any listening devices around just to be sure, but he insists he follows the law. They turn their attention to his cooking. Itsuki’s M side keeps coming out, especially when he spills the sweet cream. Aika keeps ignoring the weird comments, thrilling Itsuki more. Before she leaves, he serves her some gelato since it has just the right amount of sugar for when she’s tired. Aika is surprised. As he cooks, she wonders why such a multi-talented idol quit his previous agency. Back in her room, Aika finds a voicemail from Manaka. He saw the news. He apologizes but asks her to continue for a little longer. Aika is a confused and still worried. But she’ll continue and is glad at least he’s okay. After the Seiya incident, she heads to look for Itsuki. He’s in the kitchen as usual. He guesses she came for Seiya’s sake. No, she was worried about him. He’s incredibly moved and happy to be with her. Aika switches the subject to Seiya. Itsuki still thinks Seiya’s a traitor but also agrees with giving Seiya a chance, mainly because of Aika. As her servant, he always wants to help her move forward and die for her. She sidesteps the comment. She thinks to herself his way of thinking is almost scary. Re;Rise sings together and synchronizes, so they all agree to stay together. At the cafe, Aika goes to help Itsuki. But Seiya is alone in the kitchen. Itsuki went to do some cleaning outside. Itsuki is sweeping seriously. Aika goes to get a mop, but the supplies start to fall. 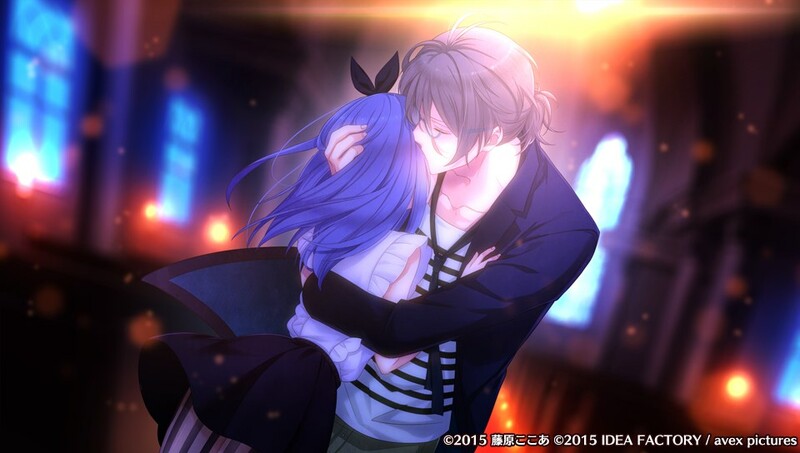 “Aika, come here!” They kiss. Aika is surprised when Itsuki is shy. He makes sure she’s not injured. She’s fine because he covered her. But he demands to know about the kiss. Aika is surprised; she thought he’d just forget about it. He yells of course he’d remember! This is the first time she’s seen him angry. She’s got to be more aware she’s the only girl in a house of men. “Otherwise…I will worry!” (Note: Itsuki uses the masculine “I” form of “ore” here.) Now Aika knows he’s not his normal self. He adds, she’s so cute in those clothes. He grabs her to show how easily he can overpower her. She realizes he really is a man while she’s an ordinary girl . He lets her go. Itsuki tells her to be careful, especially around Tsubasa. He may be a pervert, but he would never harm Aika, but Tsubasa would probably use all his power to get what he wants. Aika wonders if they get along, but Itsuki tells her to remember what he said. Aika knows she’s different from the others, but she has sort of forgotten in the midst of everything. She’s got to do better to completely replace her brother. A couple of fans compliment Aika on the event and how they’ll support Re;Rise. Aika is pleased, but the others notice she’s not her usual self. 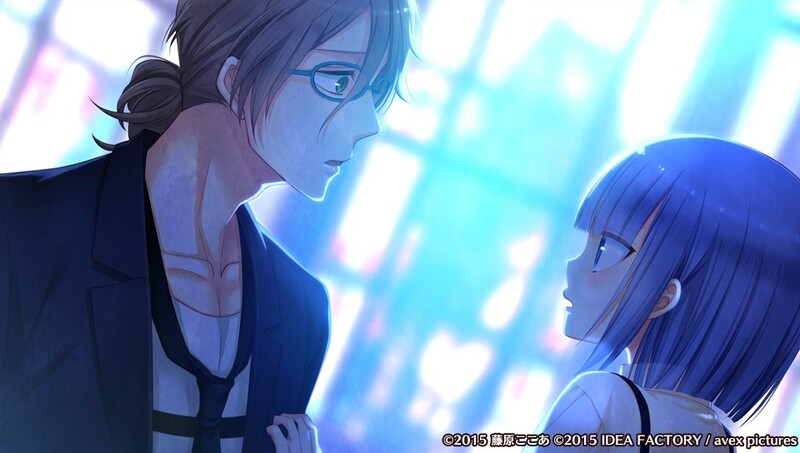 Aika decides to face Itsuki’s mental issues, the darkness of his heart. Waking up, the thought of partnering with Itsuki makes Aika’s head hurt. At least she doesn’t have to hide her gender around him. Itsuki then barges in. He’s brought breakfast since he’s her servant. He’s also looking forward to helping her into her boy’s clothes. She kicks him out, much to his delight. In the hallway, Seiya is chatting with Itsuki. Itsuki is treating Seiya like he’s a pain, but Aika notices Itsuki’s gentle smile. Reo returns the Blu-ray of Itsuki’s live, and Tsubasa eventually forcefully takes it to watch. Seiya also wanted it. After the others leave, Itsuki remarks Seiya and Tsubasa are troublesome. Aika replies he’s smiling while saying that. He says it’s because Aika is with him. He’ll show her all of his embarrassing parts! Aika ignores that and looks at Itsuki’s schedule. He already has it memorized. It’s a little unfortunate there’s no time for singing. Aika remarks he loves singing. Itsuki replies it’s not a matter of love or hate; singing is necessary for him. Aika wonders what he means. Itsuki is excited to have Aika come along. He’s already done their chores so that nothing interferes with their time together. Aika sighs, and he delightfully prepares for a lecture. She tells him he needs to settle down; he’s spoiling her too much. He thinks it’s fine. She should just leave everything to him. Tomorrow she’s going to do Itsuki’s portion, so don’t get in the way! The last part seems to affect Itsuki, but it’s just his M side. He follows her at her command. Aika wonders if she can really do as Yonezawa asks and change Itsuki’s perverted self. Itsuki is very polite as he does a photo shoot and then a drama meeting. Aika and Itsuki overhear staff mention how polite Itsuki is. His acting is not bad either. Itsuki whispers they should go. She notes that despite hearing the compliments, Itsuki doesn’t seem happy. It’s finally time to sing. Aika remarks he seems almost relieved, but Itsuki just gives a vague answer. She’s curious about his reaction. Aika practices with him. Aika starts to realize why Itsuki is called a multi-talented idol. Yonezawa interrupts them, irritating Itsuki. A magazine wants to cover Re;Rise and interview Itsuki. He declines. Aika thinks this is a good opportunity for Re;Rise, but Itsuki doesn’t want to interfere with his private time with my dame. Aika is shocked while Yonezawa stresses. Itsuki only needs a place to sing. Even without him promoting Re;Rise, they’ll sell, but time with my dame is important. Yonezawa gets a call that Tsubasa made kids cry again, so he leaves. But he’ll turn down the offer. Itsuki is glad the interferer is gone. She asks him about his behavior. He thinks Re;Rise will be fine, but Aika yells she wants them to be a success as soon as possible. Itsuki is shocked and calls her by her name. She tells him to stop putting her first or she won’t stay with him. Itsuki goes crazy at the thought. 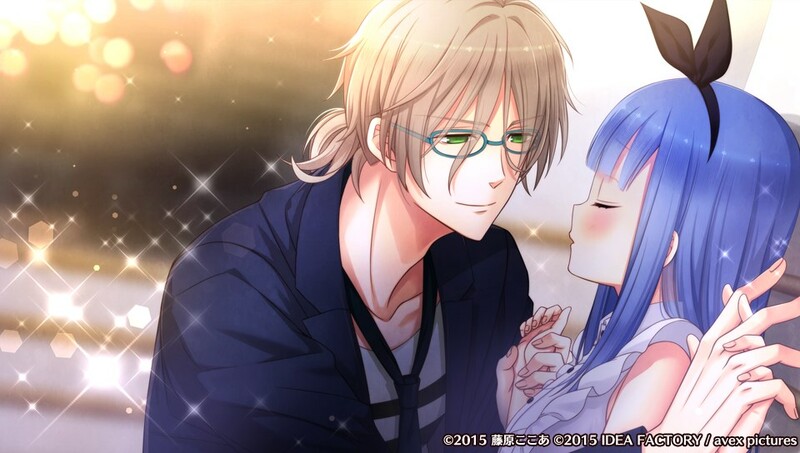 She begs Itsuki to loan Re;Rise his strength. Blushing, he asks if he’s okay. Of course, there’s no one else. He shouts in a weird mix of surprise and glee. He accepts. Aika is delighted, but Itsuki continues: “With this, we are officially lovers!” Itsuki continues in happiness and re-swears his allegiance. Aika tries to interrupt him. He wants to be tormented by her and be the only one ordered around by her. Aika is pretty freaked out. Basically, the best reward for a servant is going out with the master. Even when she denies it, he thinks it’s role-play. Aika goes to leave, but Itsuki’s M side is thrilled by her. Itsuki suddenly goes all serious and will work hard to promote Re;Rise for Aika’s sake, including his live tomorrow. But as a reward, he wants her to trample him. Aika doesn’t want to, but if it will get him to work… So she steps on him, much to his happiness. He announces he’s turned over a new leaf and will make Re;Rise his top priority. 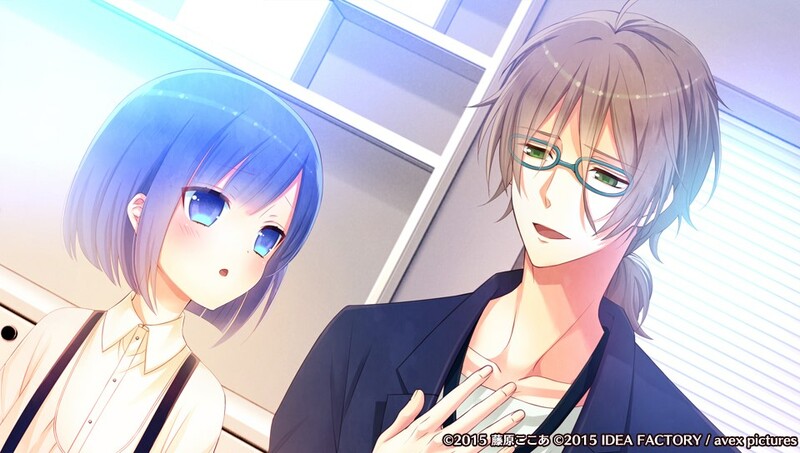 Aika is like, “Uh, I didn’t say to go that far…” But Itsuki doesn’t hear and is going to work hard for his rewards. Aika remarks he’s having fun, and he agrees he’s happy. In her head, Aika will “go out” with Itsuki until she figures out the reason for his weird tastes. Early in the morning, Aika hears a knock at the door. Itsuki comes in. Aika worries he’s taking the “we’re lovers” thing seriously, but he’s waiting for the train. Then he asks if she’s nervous since her boyfriend is visiting her so early in the morning. He leans in close. He still can’t believe she’s going out with her servant, this pervert. But he still wants to be messed with. Aika thinks to herself, “Who’s messing with who here?” She asks him if he woke up early to make her breakfast. She’s happy he hasn’t, and he takes her command of “wait” seriously. Aika thinks he really is pervert. Itsuki greets the audience. Fans ask about his transfer. He thanks them for their concern but says it’s nothing. Aika watches and sees how much different he is from his normal perverted self. She also wonders about his transfer. 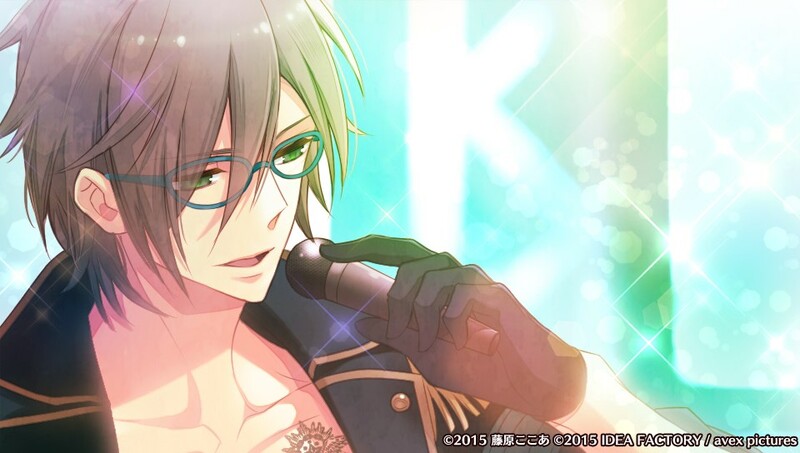 Itsuki clears his throat, unusual for him.He starts singing. He seems to be putting his all into his song. Is singing the reason he changed agencies? After the song, confetti is launched with hidden messages of gratitude, something he does each show. He then introduces a special guest, “Amane Aika”. She’s not prepared. He whispers to follow him. After all, protecting his lover is a boyfriend’s duty. He then asks for the crowd to support Re;Rise. They will. Re;Rise is at the after-party for Itsuki’s live. They discuss it as well as Tsubasa not recognizing the (rather normal) food. Itsuki drags Aika to the stage and wants to sing with everyone. Aika thinks it’s rather sudden, but everyone else agrees. So she does, too. As Itsuki says, Aika feels much better once she’s up on stage. Although the revenge live is in a couple months, she won’t be singing once Manaka returns. She’s got to get more used to this. Itsuki wishes Aika goodnight. She’s really grateful for all he did today. He’s glad but thinks it’s natural for lovers. Aika ignores that part and praises him. Itsuki doesn’t think it’s necessary since he only cares about a place to sing. He asks if he was useful. Aika replies he was, so now he wants a reward. Something that chains them, a kiss from a mad dog. He kisses her, her breath hitching. He doesn’t need sympathy, just a kiss of pain and pleasure. She doesn’t understand. Itsuki says it’s to “form” their romantic relationship as master and slave. Aika can’t believe he’s serious about the whole lovers thing. He’ll do anything in exchange for this chain. Aika is still pretty flustered. He’s satisfied with that kiss and is currently her hound dog. Please use him; he’ll dedicate his all to her. Aika protests. Itsuki then claims it was a joke. Itsuki hopes she’ll accept his services. He’ll be saved just with that. Aika doesn’t know what that means but thinks he may have his own worries. Itsuki tells her to disregard that, but he’ll gladly stay with her in her bed so he can watch her sleep. She refuses, so he bids my dame goodnight — “my cute lover”. Aika is shocked he’s serious and wonders how long can she keep this up. It’s been a month now since she’s been with Itsuki. They’re almost always together, but there’s no sign of Manaka. She has been trying to ignore his comments about being lovers and the kiss. Aika realizes she keeps going along with Itsuki’s perverted thoughts. She doesn’t know how to proceed, especially since she’s still waiting for her brother to return. Itsuki is glad to do lessons alone with Aika with no interruptions. He’s even counting the number of hours they’ve spent together and how many times she’s ignored him. Aika is surprised Itsuki is not going to join her in singing. Ruka, Seiya, and even Tsubasa want to rehearse more with Itsuki. He wants to sing with Aika. He always wants to sing with my dame from now on because they’re lovers. Does she hate singing with him? Of course not, but she has to improve more. He thinks she can. After dinner, Itsuki follows Aika to her room. They talk about rehearsal. Aika says his singing is top-notch as always, pleasing him almost to tears. He wants his reward. Aika panics, but he wants to spend some private time together. He wants her to use him, and he even puts a chain on himself. Aika is beyond weirded out. Itsuki is nearly beside himself with excitement. Aika decides to go practice. Itsuki stops her. She doesn’t want to drag everyone down; he won’t let her go. He’s serious, flustering Aika a bit. He doesn’t want her to overwork her voice. He’ll let her practice if she whispers and lets him tag along. Aika thinks he’s probably tired, but he doesn’t care if it’s for her. She’s still a bit taken aback from his normalness instead of his pervertedness, but she agrees. Itsuki smiles gently as she removes the chain. After practice, Itsuki insists Aika shouldn’t feel bad about his coming along. It was his selfishness, and he wouldn’t mind spoiling her more. He bids her goodnight and leaves. Aika thinks about his gentle, more normal side versus his pervert side. Was he always this way? …No, she doesn’t want to know! Itsuki was a guest at a live. A staff member compliments his perfect performance. Itsuki hesitates before downplaying the comment. The staff insists. Aika, sensing something’s off, quickly interrupts. She asks if Itsuki’s alright. It takes a moment before he responds he’s fine. Aika can’t help but feel worried since he knows the staff’s words affected him. Aika is going over her schedule and finds something of Itsuki’s in her paperwork. She knocks on his door. He doesn’t answer, but she can hear a low voice. The door slowly opens. She finds a whole bunch of Virgin Mary statues. Plus scissors. Itsuki laughs maniacally. “Cut more, more! This face as well, and this one, even down to the fingers…!” He goes on about cutting this “sinful existence” and “this unseemly me”. Aika sees it’s a picture of Itsuki, and, alarmed, calls out his name. Itsuki is surprised. He’s cutting up a bunch of his pictures and merchandise. She tells him to stop and asks why. He thinks it’s obvious: such a fake perfect “him” should die. He goes on about he has no worth and should die, but he can’t even die easily without causing more problems. Aika tells him to stop saying such things. He goes back to cutting up his pictures, which he does in place of cutting himself. Voice rising, he says it’s not enough. More, more! Aika orders him to stop as she grabs the scissors. Why is she stopping him? He can’t believe she’s worried about him. Aika is like, “Of course I’m worried! It’s normal to be worried about another person.” He seems almost confused. He insists he needs to punish his sinful self. She doesn’t want him to say such horrible things anymore! “….You are a strange person.” Aika replies he’s the one that’s strange. Itsuki still doesn’t understand her words, but they’re pleasant! Aika doesn’t understand why Itsuki has a painful expression then. He’s been doing this cutting thing a long time. Aika is shocked. He ask her to forget everything. He still doesn’t want to reveal anything to her. (Note: ore again.) He pushes her out the door. Aika is still stunned and also feels bad for never noticing. She can’t just forget. What happened to him? Why? All she knows is Itsuki is not normal. Itsuki, meanwhile, is muttering about being sinful and dying again. But he muses why he wanted to hear more of my dame’s words and rely on her. Aika is not sure how to face Itsuki. The next morning, Itsuki and Seiya are discussing everyone’s cooking. She gives him the paper from Yonezawa, and he realizes that’s why she came over last night. He is acting normal and even pulls out the chair for her. Aika thinks he’s his usual self, but something seems different. Itsuki keeps spoiling her, preparing her meals and giving her tea on his recording breaks. Aika notes Itsuki’s behavior has been weird ever since “that day”. His kindness is even more extreme than before. There’s no way her brother can take over at this rate. Itsuki comes in and notices her face. He keeps doting on her despite Aika’s protests. Itsuki still says it’s his selfishness. Aika wonders why he said that again. He’s not even calling them lovers like before. She starts to ask, but he interrupts her, saying don’t ask. He (ore) wants to do lessons with her now. Aika wants to ask about the “ore”, but she moves on to the lessons. She needs to get closer to Itsuki through her song. He remarks her song fills ore’s heart. To ore’s sin. He then snaps out of his daze and says never mind. Itsuki only wishes for her happiness. He doesn’t need anything else besides her and singing. Aika protests, but he just smiles and says she’s kind. He doesn’t need anyone else besides his one and only lover, his my dame. Aika knows he’s been strange since the night in his room. She’s got to stop him if he ever does that again. Itsuki is doing his radio show. He introduces a nervous Aika. Itsuki leads as they try to promote Re;Rise (although Itsuki gets in a shot at Tsubasa). Itsuki asks if Aika would like to go back to the cafe, so she blurts out yeah, to work. He laughs since he didn’t mean it like that. Anyways, now they’re starting a segment where Aika has to say lines she normally wouldn’t in Do-S (super sadistic) while he rates her. Aika is very nervous at her lines: “Call me master”, “Don’t show such an embarrassed face”, and “Kneel down if you want to tied (to me)”. 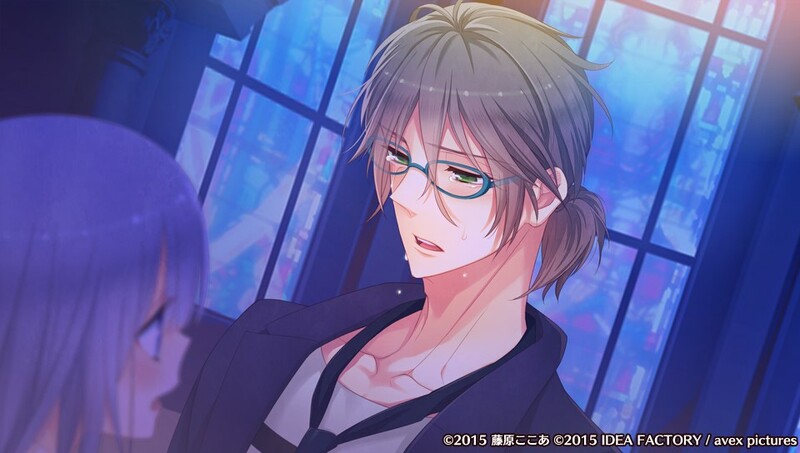 He didn’t like the first, the second was different than he expected, but Itsuki starts to follow her third order. He goes into M-mode. Aika refuses, but Itsuki is narrating like it’s an act. He praises her for the listeners and encourages them to support Re;Rise. After the show, Aika asks he had anything to do with the Do-S request. He laughs but doesn’t confirm or deny it. She thinks about how she forgot about his perverted side in front of the mike. She says he really is a pro. Itsuki thanks her. He’s going to treasure her Do-S lines. In his usual perverted way, he talks about being lovers and how many times she’s ignored him. Aika thinks about all the different Itsukis, but all are better than the one on that night. Yonezawa and Aika talk about the show. Fans think she and Itsuki get along well. Itsuki has been a bit tired and is also in charge of the revenge live. 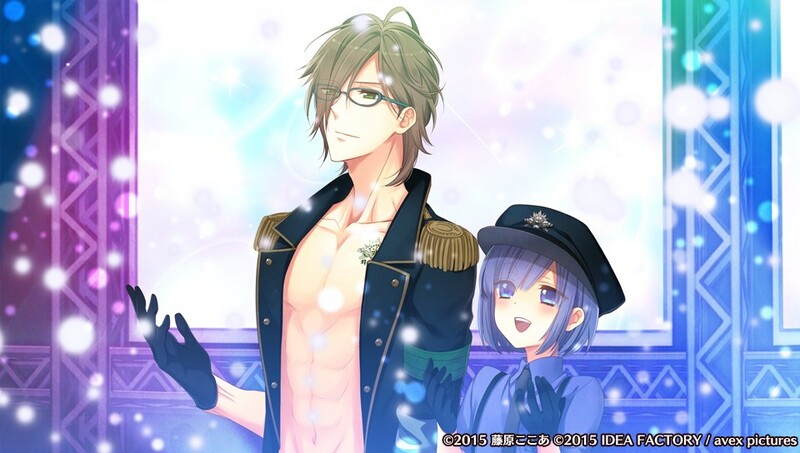 Suddenly, Itsuki barges in, wanting to go with my dame on a walk. Planning the live will come after. As they walk, they accidentally head toward Tsubasa’s shoot. They’re spotted by girls. Itsuki tells them he and Aika are in the middle of work, upsetting them. He grabs Aika’s hand as they run off. The fans notice. Aika’s heart is pounding because she can feel his warmth. It’s the first time he’s held her hand. He asks about her red face. She says it’s nothing. He says ore will pull her along, so hold on tight so they don’t get separated. She wonders if there’s a meaning in the “ore”. Itsuki calls her Aika as they run. She knows he’s always supporting her. As they go inside a church, Itsuki says it’s nostalgic. Everything is similar to that church. Suddenly Itsuki starts singing. He looks beautiful like this. She wonders if it’s a hymn. After he stops, she says he must like singing like Ruka. He neither likes or dislikes it; singing is just his calling. Aika would have liked to seen such a pure young Itsuki. He had nothing and no one but managed to enter show business. He had no parents, so he was taken in by a church orphanage. Aika says Itsuki must have had a difficult time breaking into show biz. Itsuki replies his masochistic nature let him to keep trying and failing. He basically learned to be polite but decided to hate his conceited (annoying) self. Aika says something along the lines of wasn’t this Itsuki’s way of protecting himself from loneliness and not receiving kindness? Itsuki is stunned for a moment before smiling and replying she’s kind and dazzling. But he doesn’t know. Both kindness and pain are gentle and cruel at the same time. Coldness eventually turns into him wanting to kill himself. He’ll gladly accept everyone’s suffering — including hers — because he likes it. Itsuki joined Re;Rise because he thought it would be the ultimate suffering being with a bunch of problematic idols. Aika asks him about that night, but the only thing he’s afraid of is not singing. Itsuki feels like he’s talked too much and is ready to go. Before they leave, he hugs her. She’s so kind, and he wants to be like this just for a little bit. Ore can’t suppress his feelings. Her kindness is dazzling to him. She thinks he’s the dazzling one. “You are so…” Aika misses what he says, but he covers by saying “kind”. Itsuki adds she can just forget everything, but Aika tells him plainly she can’t. Aika wonders why he seems like he’ll die without singing. She thinks he must be carrying something even deeper. Aika keeps thinking about Itsuki and all his mysteries. She wants him to have more fun, to love himself as an idol. The live is only a few days away. There’s not much time left to learn about Itsuki or Manaka. Yonezawa comes in just before Aika’s lesson with Itsuki. He doesn’t think the real Aika-kun will return, but he wants her to choose for herself whether she will continue or quite Re;Rise after the live. After he leaves, she thinks about her options. Itsuki comes in and wants to know what they were discussing. She’s going to continue the radio show for now. Manaka still hasn’t been found. Aika doesn’t know what to do after the live. Itsuki wants to be with her no matter what she decides. Aika gets a text from Yonezawa about her schedule. Itsuki will be lonely and then goes into his usual pervert self about being alone together. Aika decides to go home to see if she can find out anything about Manaka. Itsuki wants to go since he’s her lover, but she tells him to practice. She then rehearses with him. After the show, Itsuki calls her. Sometimes she can’t keep up with his kindness. She’s going home, and Itsuki and is horrified he’ll be sleeping alone. She hangs up. A couple of fangirls talk about Itsuki, wondering if he has a girlfriend. 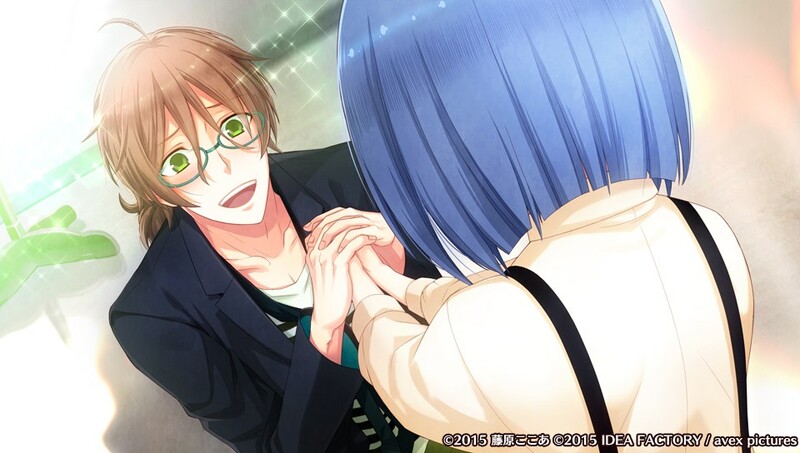 Aika realizes he is already popular, unlike the rest of Re;Rise. Itsuki calls again, but Aika insists she’s fine. She knows she can’t drag him into her life. “Aika?” Before they disconnect, he notes she never gives him any orders outside of work even though they’re lovers. He decided that on his own. They’ll separate one day because she’s a normal girl. Itsuki previously mentioned wanting to die. Will he be able to continue in show business with those kind of thoughts? Forever? Aika goes home. She finds a bunch of letters addressed to Manaka from “X”, urging Manaka to contact them. She remembers Nami’s strange phone call as well as Manaka’s phone calls to her. On her way home, Aika tries to think about X and Manaka and whom she should talk to. Itsuki suddenly appears. Of course he knows where she lives; there’s nothing he doesn’t know about my dame. He learned her address from Yonezawa. Itsuki starts creeping Aika out again. He really wants to look at pictures of his lover. Switching subjects, he warns her for going out alone to her house in case her secret was exposed. He again says it’s not kindness but his selfishness. In her head, she disagrees. Aika flinches when he mentions her brother, but even without her telling him, he correctly deduces Manaka must have gotten mixed up with something and Aika is worried. Itsuki asks if she wants to see the real “Aika-kun”. Of course. Then he’ll do everything he can to grant her wish. Aika tells him not to be so rash since Yonezawa has already searched so much, and she’s a bit scared from the letters. Itsuki simply tells her to get plenty of rest tomorrow. That night and well into the next day, Itsuki isn’t around. Aika can’t get ahold of Itsuki on his phone. Did he really go searching for her brother? Suddenly, Itsuki enters. She’s glad he’s safe. He hands her a letter. Manaka says he’s fine and apologizes for causing her trouble. He probably won’t come back. He thinks it would be better if she forgot about him. He has something more important than Re;Rise. It’s probably best they don’t meet. Aika is taken aback. Itsuki suddenly asks how she views Manaka. Aika thinks back on how Manaka used to save her and she can’t forget her dear, only blood relative. Aika finally decides not to see Manaka since both Itsuki and Manaka think this is best. She declares she’ll see him one day. Itsuki prays it will happen. Aika thanks Itsuki and adds it’s amazing he found Manaka so quickly. Itsuki suddenly collapses. Aika gives up on waking him. He must have overworked himself. She calls him an idiot, and he seems to react. She continues her gentle scolding. When Aika hears him call out her name, it causes strange feelings. Aika awakens to a scream. Itsuki has no idea what’s going on. “W-Why is ore in your room!? And in the morning!” Aika fills him in. Surprisingly, he’s quite flustered and tries to hide his red face. He wants to know how she sees ore. Aika continues saying he’s acting weird. He replies she shouldn’t sleep in a room with someone she’s unrelated to. Aika believes it’s no big deal, but he tells her to think. “Or else ore will misunderstand.” He insists he’s her servant and will accept any pain or suffering. Aika doesn’t want to cause him any hurt. Itsuki replies that’s the hardest thing for him, but then he laughs it off as a joke. The thing that would hurt him the most is not being able to sing. Aika doesn’t understand. Does he think he’s better off without kindness? Itsuki tells her to never let a man sleep in her room. Aika agrees. Aika thanks him profusely for finding Manaka. She’ll think about “Amane Aika”. He’s glad. She’s surprised he didn’t ask for a reward. Itsuki just wanted to get rid of her anxiety. She knows it’s a lie. Aika asks him why is he so kind to her. Ore is not kind; it’s ore’s selfishness. Aika cries out in her heart it’s not true. Itsuki continues: he only needs singing. Idol or not, he’ll support her. But why? She hasn’t given him anything. Itsuki replies he feels saved just by being with her, even more so than singing. It’s the same feeling he gets in a church. He talks about Notre Dame, the holy church also know as “Our Lady” (i.e. Virgin Mary). Aika remembers all the Mary statues in Itsuki’s room. She’s his Mary, precious ore’s Dame. Ore will dedicate his all to her. She pushes him away, saying she’s no Mary. She never asked him to dedicate his all for her; she’s just an ordinary girl! “My Dame…” She’s no Dame! She remembers a bunch of Itsuki’s previous statements. She angrily tells him to not conveniently idolize her. He retorts he’s not. Ore has been properly looking at her and watching her carefully. Ore knows people aren’t perfect; that’s what makes them precious. Just her being alive makes ore happy. Aika tries to interrupt, but he tells her to listen. Ore won’t let her deny his feelings. Ore begs her to use him, my Dame. Aika, thinking to herself, wants Itsuki to live for himself and not just be used. Realizing work is coming up, he leaves. Although Itsuki can do anything, she doesn’t want him to do anything reckless again. Aika tries to go on as usual. The other members of Re;Rise are looking forward to the live in two weeks. Like Aika, Seiya notices Itsuki has been silent this whole time. Itsuki says he’s fine. Aika asks to be sure, but he sharply tells her it’s nothing. Even Tsubasa is surprised Itsuki raised his voice at Aika. Itsuki apologizes deeply and then quickly moves to start the lesson. Ruka is unconvinced, so he tells Itsuki to sing his solo. Itsuki starts, but then he can’t hit the high notes. Tsubasa muses this means Itsuki can’t sing. Itsuki, panicking, says it’s not true. He tries to sing, but he keeps coughing. Ruka bluntly tells Itsuki he can’t sing. Itsuki runs away. Would just having a sore throat really cause him to run away? Aika chases after Itsuki. He’s not in his room. Then he must be there! As she thought, he’s inside the church. Itsuki refuses to return. He can’t sing anymore. So his life has no value. He pulls out a knife. He wants to die so he won’t bother anyone else. He’ll finally be saved. Aika yells. She manages to stop the blade. “Aika, why…did you…?” She yells it was to protect him of course. He can’t believe she’d protect ore. He forces back to “watashi” as he explains he has to die or there will be more accidents. She yells she won’t forgive him if he dies. Aika wants explanations. Holding back a sob, he says he’s tainted. The priest basically said Itsuki was worthless if he wasn’t perfect. He was abandoned by his parents because he was sinful. Aika doesn’t believe that. It must be true because that’s what the priest taught him. Because the priest “chastised” him, Itsuki became beautiful. Aika is shocked. 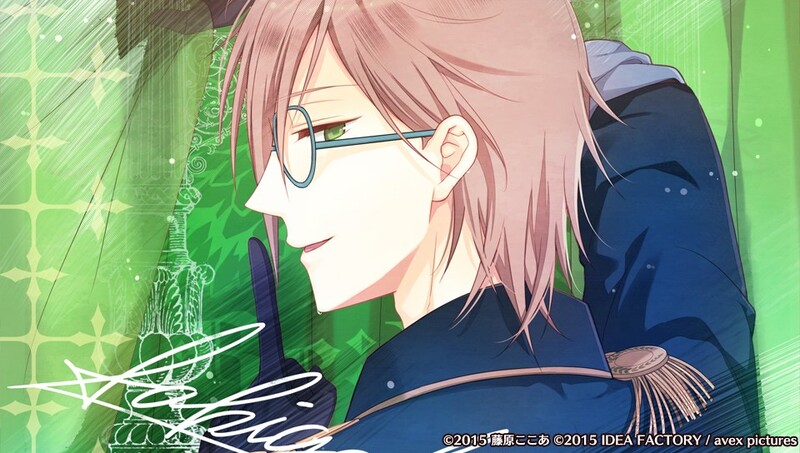 Itsuki continues on about how his dirty self was punished by the priest in the name of love! Aika realizes Itsuki must have been abused and brainwashed as a child. She thinks back on some of his previous statements. Aika finally asks if anything he does is a sin. Yes. Aika asks if he can’t continue to be with everyone. No, he wouldn’t be forgiven that way. Aika yells that’s strange. He agrees. Itsuki, the crazed tone returning, knows he’s strange. He’s known all his life but can’t do anything about it. Only when he was singing did he feel he became beautiful. Mary was blessing him. But now he has nothing to cling to. His dirty self can’t be forgiven for living. Aika yells it’s not true. She can’t change his past or erase his trauma because she’s a normal girl. But if she had met him back then, she would have told him he had a beautiful voice. She would have called the police on the priest; she would have definitely, definitely protected him. She would have told him true love is much kinder. Aika, frustrated, feels so powerless. Itsuki asks why is she crying. She feels so bad for him. But she wants him to live! So orders him to live. “Aika…” Is she binding him? She doesn’t know if she’s doing it out of love, but she’s really worried about him. Aika replies yes, so swear it. Itsuki wants to mark his vow. Even a kiss on her foot is fine, but ore wants to believe in her. They kiss. Aika says this should be fine now; she’s his master. Is it really okay if he can’t sing? The current Itsuki is fine to Aika, so that’s why she wants him to live. Itsuki is about to say something but stops. He never thought the day he would be saved would come. Switching back to ore, he swears his devotion to his my Dame and asks for her support. He can’t stop anymore…because she’s so tempting. He confesses he loves her as a girl, a courageous, serious, cute girl. She really is beautiful, his dear Dame. (Note: This time, the kanji is “goddess” here.) Aika says she didn’t do anything. She wonders what kind of “love” Itsuki is talking about. He tells her to take her time to consider ore as a man. He’s worthless, perverted, and awkward, but he’ll live for her sake. Aika quickly agrees to think as she dashes out. Aika thinks about Itsuki’s confession. No matter how Itsuki means it, she’s embarrassed. Meanwhile, Itsuki notes if they’re being bound, then ore can’t part from her. The two return to the rehearsal room. Itsuki is surprised Re;Rise was waiting for him. Each in their own way say he’s important and want him to get his voice back. Itsuki is moved, and Aika is glad he feels that way. Yonezawa has taken Itsuki to get checked out. Aika hasn’t been in contact with Itsuki since that day. She can’t help but feel anxious when he’s not around. Even having the strange Itsuki back would be fine. One week before the revenge live, Itsuki returns. He’s his usual M self. Aika almost feels silly for worrying. Everyone is glad to have him back. Everyone agrees with Itsuki that Re;Rise couldn’t have gotten this far without her. Aika is touched and will do her best. In the rehearsal room, Itsuki can’t stop chuckling. He’s so happy to do lessons with Aika. Aika tells him not to overwork his voice. Itsuki just goes into straight-out pervert mode, even wanting to Aika to see all of his “disheveled, embarrassing self”. Aika is still weirded out but remains mostly silent. He turns serious and asks her isn’t it fine if she accepts all of his love? “I’ll let my love flow into your cheeks, your throat, your lips, and even your toes. Fervently, gently, and even passionately sweet.” Ore won’t let her go. He’ll be with her day and night. The bed or sofa after a bath would be ideal, but if ordered, then a public place is fine. He wants everyone to feel their bond and her to feel ore’s heat. Fhen he goes on about how he won’t let her feel pain and he’ll take her slowly and gently. Aika pushes him away, but he was basically seeing how far he could go and watch her reactions. She realizes he might be even more perverted than before. Itsuki cheerfully says it’s too late for her to change her mind; he’s bound to her even into the next life even if she hates him. Aika is taken aback. He doesn’t mind if she does hate him. No girl would want someone like him. Itsuki sees her face and is somewhat surprised. There’s now way she could love him, right? Aika is flustered since she can’t figure it out so suddenly. Talk eventually turns to an event Yonezawa scheduled for Itsuki. Itsuki says he was ordered to do only sit-down jobs for two weeks. Aika feels bad he’ll miss it, but he will go if Aika will. He starts messing with her, saying he never got to go out since he had no parents and stuff. Aika, pressured, agrees. He’s thrilled. In exchange, he has to stop the weirdness and watch his voice. He will. Aika doesn’t understand why she is in a dress. Itsuki replies he never said the job involved “Amane Aika”. With the two of them dressed up, Aika remembers he really is a celebrity. They’re going to a movie premiere. Itsuki wants the world to know he’s her lover. She proclaims it will cause problems, but he’s strangely silent. He asks if she’s made a decision yet. She goes quiet. He suggests they cancel the event and go on date. He escorts a flustered Aika. They go to a fancy restaurant. He had to take her somewhere where she wouldn’t be recognized and hopes she cheers up a little. After all, she is the one who saved him. He knows she’s still concerned about Manaka and “Amane Aika”. She talks about Manaka and how he doesn’t want to see her anymore. Itsuki interrupts. Manaka has a reason but truly does want to see her. Aika is still unsure, but Itsuki adds Manaka is carrying a picture of the two as children. Manaka will always watch over her. Aika is surprised Itsuki is so certain about all of this, and she can’t help but feel like she’s forgetting something. The subject switches to Re;Rise. Itsuki feels Aika can’t rely on ore. She disagrees; he’s been helping the siblings from the start. She thought Itsuki was strange (he agrees), but she was wrong. He’s very kind. She had some hubris to think a newbie like her could take charge, but now everyone has moved forward. She can’t help but feel a bit lonely if she leaves. Itsuki replies it’s the same for Re;Rise. On the day he met her, he was thinking of leaving the group, but now he couldn’t be alone. Half-laughing, he says he’s all alone with no one who loves him. Aika yells that’s not true. He has his companions, his fans, and her. She begs him not to say that. He’s moved by her words. Aika asks him to let go, but he refuses. He wants her to listen to his confession. “I love you. But I won’t ask for anything. Even if you fall for someone else.” Ore will be happy with any pain she causes him, so cause him more. Itsuki fell in love with her at first sight. Aika is shocked. He wanted to be helpful to her, because she’s so dazzling. Aika thinks back on their time together. More than anything, ore is grateful to her. He doesn’t want to part from her or think about a life without her in it. Itsuki doesn’t need an answer. He’d be happy if she just remembered this moment. Aika is upset he’s saying such a sad thing, but he knows she’ll remember. He is not alone anymore. He once thought he’d die without singing, but she destroyed that belief. That’s why Itsuki wants to dedicate himself to her. “True love, eternal romance. 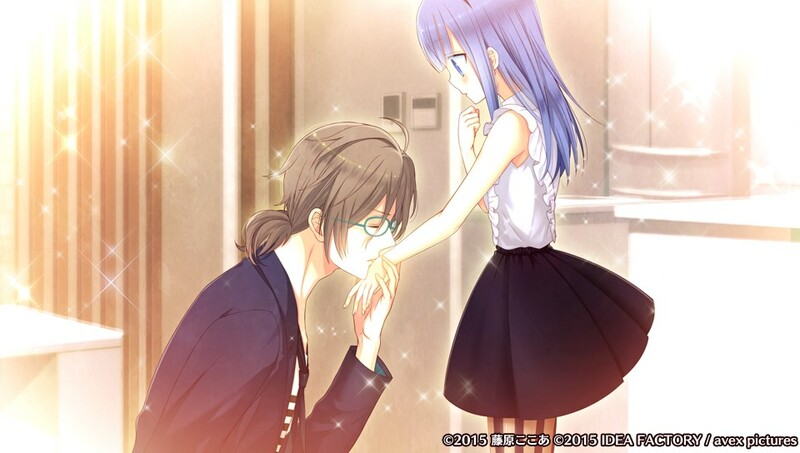 Even obsession, I’ll give to you.” Aika is stunned when he gives her a ring. Aika feels like she can’t reject him when he only has her to cling to. Itsuki suggests they return. Itsuki tells her he’ll always look out for her no matter if she quits or continues being an idol. So she should make a decision she won’t regret. Neither Itsuki no Aika have discussed the ring. She’s concentrating on the live but knows she has to respond to his sincerity. Re;Rise is looking forward to a successful live as they wait backstage. 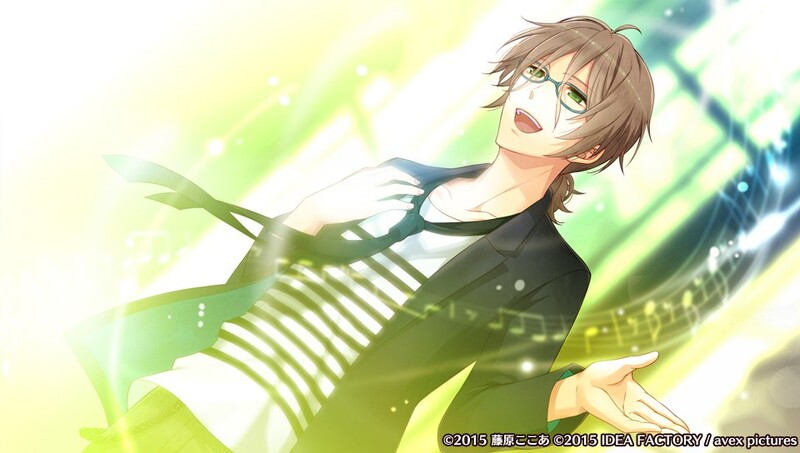 Seiya is looking forward to Itsuki’s lyrics and keeps and strumming his guitar. Itsuki and Aika start getting weirded out by Seiya, but Tsubasa is enjoying it. Aika tells Seiya it sounded like friendship. He thanks Aika because he loves this group and didn’t know what would happen when Itsuki ran away. Everyone is happy Itsuki is here. Itsuki, touched, announces it’s time to begin. Re;Rise introduces themselves. The fans want Aika and Itsuki to do a manzai comedy routine. Even when a fan calls him cute, Tsubasa doesn’t get upset. Itsuki tells Aika (not “Aika”) to take his hand as he begins his solo. After they’re done, Itsuki hugs her and says ore will worry if she’s that charming. He’s happy to sing with her. She is, too. They go back onstage. Fake snow is falling. Itsuki compares Aika to the snow and says ore is really happy to have met her. She’s glad to be here with him and everyone else. Yonezawa congratulates Aika on the live but confirms Manaka won’t return. He leaves it up to her whether to continue to be “Amane Aika” or go back to being Amane Aika. She will continue as an idol. She wants to be with everyone more. Yonezawa thanks her. He swears to keep her identity a secret. He whispers her boyfriend will surely save her. Aika nearly chokes in surprise, but they exchange formal greetings. She realizes that was the first time she’s been called by Yonezawa as just “Aika” and feels like she’s the true “Amane Aika” now. Aika will quit because she has her own dream. Yonezawa understands but also notes he’ll leave “that person” to her. Aika blushes but agrees. Aika awakens and is surprised Itsuki hasn’t come in. She tries to convince herself it’s creepy when he does. Itsuki talks about his latest script. 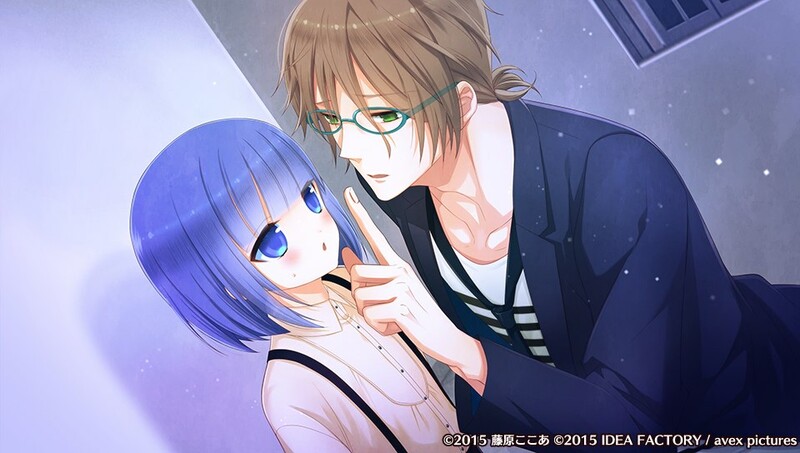 As they talk about the story, Itsuki mentions he hates selfish girls. Aika has also gotten a job on the radio. Itsuki is going to be separated from my Dame for a while, and Aika and Reo expect him to throw a fit. Itsuki says he’ll manage. After Itsuki leaves, Reo remarks Itsuki is treating her more like a buddy, and Seiya wonders why Aika looks almost sad. Nami is very upset Itsuki is treating Aika this way. Aika says he must not have been serious. She’s a bit lost. Nami suggests Aika test his feelings. Aika starts her show. One letter is from someone concerned about her friend’s strange masochist guy. The guy sounds a bit like Itsuki. Aika remembers Itsuki’s comment about hating selfish girls, so Aika suggests the girl test the guy’s feelings by giving him 100 menial tasks. Nami calls and tells Aika to take her own advice. She wrote the letter. Aika is going to see if she can get Itsuki to hate her. Aika finds Itsuki after work. She doesn’t know if she should do this. Itsuki sees the look on her face and asks if she’s hungry. Aika quickly agrees, and he cheerfully goes to start cooking. He prepares her favorite meal and caters to her demands. He even apologizes when she tries to change her mind after he bought food. After 37 food requests, she’s going to try something else. She tries stuff like massage and giving bad advice, but she stops at times because of her guilty conscience. When she calls and tells him to pick her up, he asks if he can stay on the line since he’s been feeling lonely. Aika thinks he’s so kind it’s cruel. Aika even suggests clothes shopping since guys hate that, but he has no problem with it. He buys her some as presents since he’s her lover. They go to an amusement park. Itsuki says most people will think they’re two guy friends hanging out despite really being lovers. Aika gives a bunch of orders. She has three orders left. She’s so lost in her thoughts she doesn’t hear Itsuki until he calls her (real) name. She has somewhere she wants to go. They go to the church. He’s a bit taken aback, but it’s the special place where she gave him the will to live. Itsuki has noticed she’s been strange today; does she have any troubles? She simply replies he’s the strange one. For her 99th request, they go inside. Aika asks Itsuki why is he so gentle, and would he be this kind to anyone? Itsuki smiles and replies ore isn’t kind. He just loves his dear lover. He’ll do anything for his master. She asks about his behavior since the live. He blushes and says it’s a simple misunderstanding. Ore is no longer afraid of living. She is his only fated Dame. That’s why he gave her the ring. Itsuki wanted to be a cool guy for her, the kind she could fall in love with. Aika is surprised. His initial affection has turned into true love. Itsuki truly wants to watch over her. He wouldn’t want a pervert and masochist if he was a girl, but because he’s like this, he could pretend when they were together. Aika admits she though all her selfishness would cause him to realize his confession was misguided. Offended, he replies his feelings will never disappear and not to make light of them. Ore demands an apology for doubting his feelings. Panicked because he’s so close, she does. He chuckles and also apologizes for the misunderstanding. He also adds he could never hate her selfishness because all 99 of her demands were so cute. He heard her radio program. Since she made all these requests, it mean he’s special, so he’s happy. Itsuki notices her face is red. It’s his fault, she says. All this my Dame and invading her room is all she can think about, because hasn’t she fallen in love! Itsuki is shocked as she issues her 100th order: “Itsuki-san. Please go out with me.” He can’t believe it. Itsuki can’t stop the tears because this is so unexpected. He’ll accept any number of orders from ore’s Aika. Aika has left and returned to her own life. Nami and Aika talk about Re;Rise. Aika hasn’t contacted them since she ultimately lied to everyone. Aika is surprised when Itsuki visits. It’s been over three days since he’s seen her, please step on him. Then he’s pleased when she refuses. After that, he gets serious and scolds her for answering the door without asking who it was. Itsuki comes up with a bunch of suggestions about where she should live since he doesn’t like her living alone. Because he’s her lover, of course. Anyways, he’s brought his cooking, so he wants to be treated coldly in return. Itsuki gets serious. He reminds her to tell him when she finds a special someone. He won’t get in her way, so she can throw the ring away then. Aika hesitantly says they’re lovers. This makes him happy, but only for a second because he knows she only “agreed” because she felt it was her responsibility as Re;Rise’s leader. For now, he just wants to be by her side until she falls in love with someone. She smiles as he leaves. Aika remembers Itsuki’s words about him not interfering in her love life, but she is conflicted about her own feelings toward him. They meet later in the park. He apologizes for keeping her waiting, then he goes into his pervert-mode. Aika laughs, confusing him. She’s just happy to see him happy and not being suicidal. The smile captures ore’s heart, so he hugs her. Ore can’t hold back when she’s like this because he loves her. 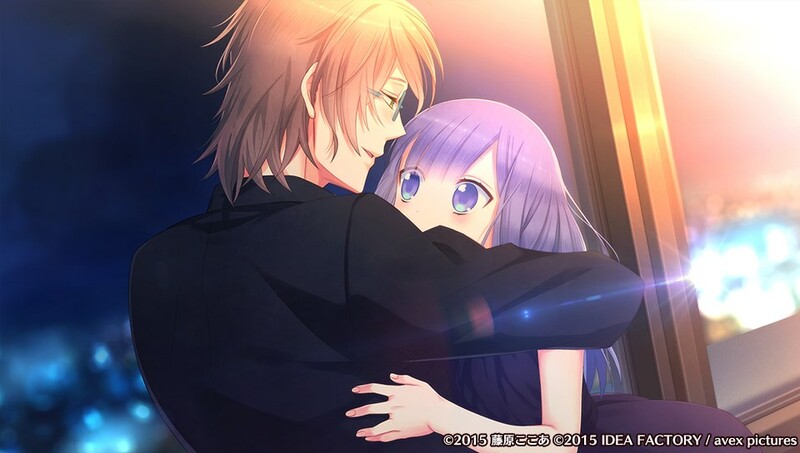 Itsuki realizes what he’s doing and, apologizing, releases her. In truth, she didn’t dislike it. He brought her a whole bunch of casual clothes as a present. He would like to see her in them, but no clothes is okay as well. He has to go back to work. Itsuki is happy to walk back with her like this. He insists she should accept the outfits. She thanks him, and he thanks her in return. Inside, Aika thinks about how Re;Rise — including Itsuki — is working hard. One day, Nami suddenly calls Aika in a panic. The doorbell rings. A reporter asks if Sakigake Itsuki’s lover is here. Nami says she’s walking by Aika’s house and can see a bunch of TV reporters. The reporter insists Aika come out since she’s been caught on camera on a park date with Itsuki. Aika knows this is bad. Nami offers her help. Itsuki calls next, apologizing for this mess. He agrees not to see her for a while. People discuss how Sakigake Itsuki’s girlfriend lives here. Nami says they’ll eventually start forgetting. Aika is more worried about Itsuki than herself. The few texts she gets are all apologies. Meanwhile, Itsuki is depressed. The others notice and wonder if he’ll break down at this rate. The reporters have stopped coming. But now they’re coming again. Aika and Nami watch a report that Itsuki has stopped all activities. Aika tries to find out more, but Itsuki has disappeared. She, as well as Yonezawa and Re;Rise, has spent a year looking for him. Aika keeps searching. She eventually ends up at a church Seiya heard a rumor about. Itsuki is there. He’s surprised, but Aika is overjoyed. She slaps him and calls him an idiot. She reprimands him. He switches from ore to watashi as he explains he didn’t want to get in the way of her happiness. That’s why he’s an idiot! Her happiness requires Itsuki! She’s already lost the rest of her family; she doesn’t want to lose him, too. Because she loves him. Ore begs her forgiveness. He’s a fool. Aika agrees, because he’s her lover and shouldn’t be apart from her. Itsuki keeps repeating “lover” as he asks for forgiveness. He asks for an order. She says don’t disappear, sing with Re;Rise, smile, text her, date once in a while, cook, choose clothes for her, and, most of all, always be with her. Ore agrees. Because he loves her, his Aika. Aika wonders why Itsuki requested she be in girl’s clothes. the other members already know she’s a girl. She doesn’t understand but enters the house. Some party poppers go off. It’s Seiya and Reo. They congratulate her and tell her it’s a special day. They lead her inside. Ruka congratulates her. Tsubasa gives one of his back-handed compliments but says the two fools suit each other. Ruka mentions he’ll be a little lonely with Aika hogging Itsuki. Aika has no idea what anybody is talking about. Itsuki butts in before Ruka explains. Itsuki prepares for an announcement, but then he goes quiet. He proposes. Aika is shocked. He wanted to do this in front of everyone since he caused them so much trouble. Itsuki gives a speech about how he wasn’t into being an idol, but that’s changed. People can mature. Aika gave him and Re;Rise hope. He talks more about how important she is and how much he loves her. She’s Re;Rise’s leader, but he won’t hand her to anyone. Seiya and Tsubasa want to see proof of her convictions. Aika is embarrassed, but he says be quiet and listen to ore’s words. He delivers a hearfelt vow to love her forever. Even if she doesn’t love him, but please allow him to love her. Aika gets upset and asks if he’s really happy with a one-sided love, but he is. For him, loving someone means wanting their happiness more than being loved. He wants all of Re;Rise and Yonezawa to be happy. Right now, Itsuki is happy. The others are touched. Aika replies she’s happy if Itsuki is happy. But being happy alone is not enough; she wants them to be happy together. Because she loves him. Itsuki is caught off-guard by her words and blushes. He wonders if this is a dream. Aika swears to love him, flustering Itsuki. Then he asks her to marry ore and have kids and live happily ever after. Now he wants Aika to seal their vows with a kiss. They do. “I vow to you. I swear to you eternal love, my Dame.” The others are happy. Seiya, near tears again, says he feels like the father of the bride. Tsubasa can kind of understand. Ruka urges everyone to enjoy the party, and Itsuki tells everyone to eat up. Of course, Itsuki will feed Aika by hand. She’s taken aback, but he tells her to accept his love. Itsuki starts his show. Itsuki chuckles as he reads a letter from a boy in love with a girl in his class. He’s going to confess and wants some tips. Aika believes Itsuki looks at her for a moment. “Listen closely, okay? My Dame.” Aika freaks out, but Itsuki “corrects” himself to “mademoiselles”. Itsuki says stuff like he loves “her”, wants “her” to be more aware of him as a man, and please go out with him. Aika gets a bit embarrassed. He then goes on about all the ways he loves her, weirding Aika out. He says it doesn’t matter if she thinks he’s weird, he just wants to feel all of her and always talk to her. He continues to slip into pervert mode, but then he tells his listeners it was all a joke. He was advertising for a special drama he’s going to be starring in about a pervert-like character longing for his ex-girlfriend. Itsuki tells the letter writer to use his own words and speak from the heart. The staff were surprised but enjoyed the show. Aika has a higher opinion of him now. Itsuki is like, “More than just a pervert and masochist?” He starts going into pervert mode, and Aika just basically sighs and says let’s go. Itsuki grabs her. “You’re a bad girl for trying to disappear at a time like this. Especially right after my confession.” Everything he said earlier was his true feelings. Ore wants to kiss. He says no one’s looking, and keeping a secret is fine once in a while. Aika keeps protesting, but ore keeps insisting. If she doesn’t listen, he’ll have to punish her by not taking her out on the date. So just accept his love. 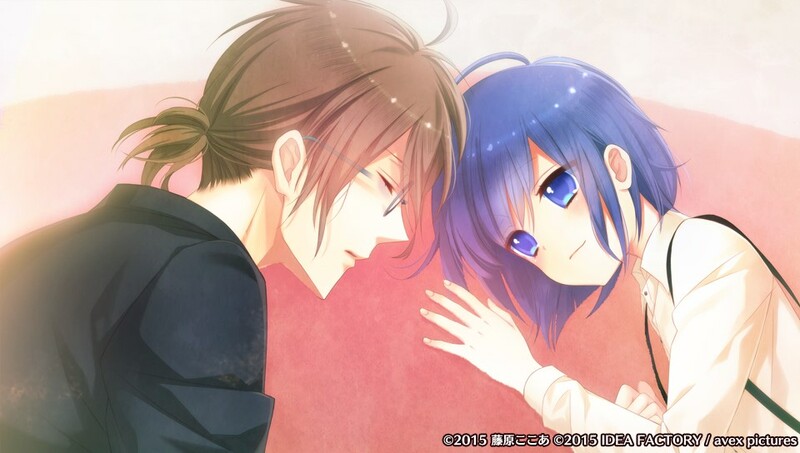 Manaka will surely come back soon, so she needs to tell Itsuki he’s important to her and wants to accept the ring. Itsuki surprises her from behind. She doesn’t understand why he’s behind her if he left first. Aika doesn’t know how to start the conversation. Itsuki suggests they go somewhere. He knew this day would come, so he made preparations. Aika thinks he’s a little strange, but he says it’s fine. Suddenly, he gives Aika some type of drug, and she looses consciousness. Aika awakens inside a church-like place, but she has no idea how she got here. Then she realizes she’s has a chain on her foot. Itsuki apologizes, but she would flee if she wasn’t chained up. He confirms they’re in a church but a different one from before. It’s the off season, so no one will come or hear her. After messing with her, he confirms he’s confining her here. She has no interest in him, so if he’s all she sees, then she’ll surely look at him. Aika protests she was going to tell him she loves him, but he laughs manically and says he wouldn’t fall for such a lie. He goes into a long-winded explanation about how he knows she’s lying. Aika again denies lying, but he says he’ll dislike her — or even hate her — if she keeps it up. Itsuki is pleased by the idea of hatred deeper than love. Itsuki says he understands the priest’s feelings right now. He says if she won’t love him, then it’s fine if she becomes his doll.